Built in 1978 by theatre producers Jason Brett and Stuart Oken and twice renovated, the Apollo boasts a dramatic glass and concrete design conceived by Chicagoan Michael Lustig. Its three-quarter thrust stage has 440 plush seats configured in just 11 rows, allowing audiences a theatrical experience unparalleled in intimacy and accessibility. 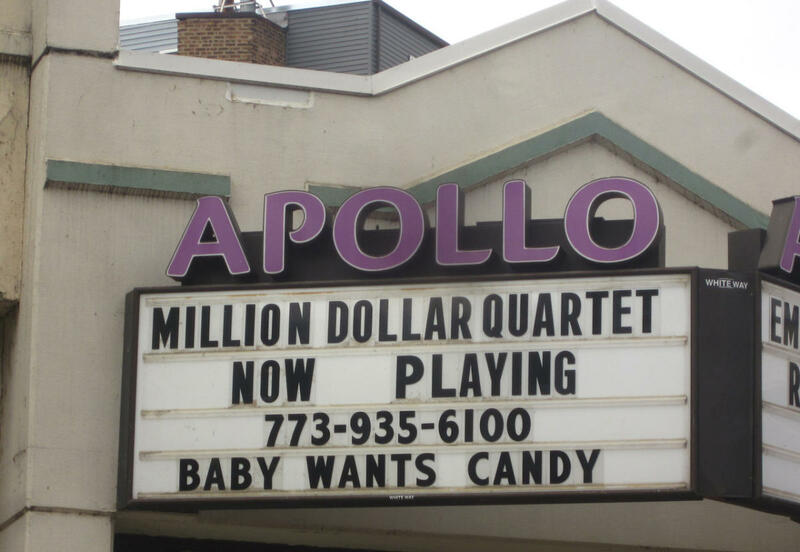 The Apollo Theater has a rich theatrical history. For its inaugural engagement, producers Oken and Brett chose Albert Innaurato's Gemini, which featured the production's original Broadway director, Peter Schifter. David Mamet's Sexual Perversity in Chicago became a smash hit at the Apollo, starring Jim Belushi in his dramatic stage debut and directed by former Second City Artistic Director Sheldon Patinkin.